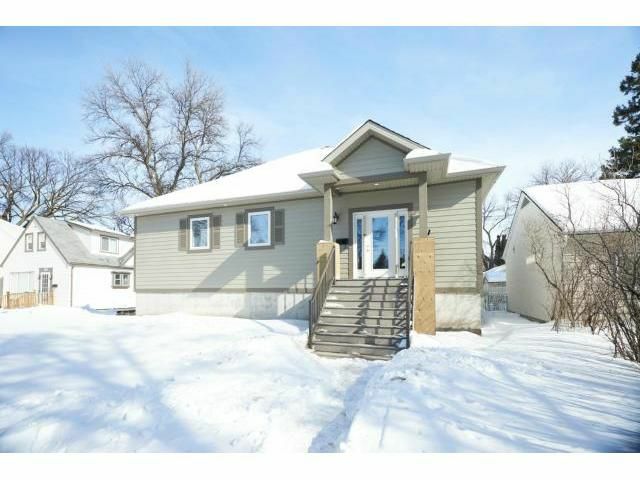 ** THIS HOME IS SOLD, but contact listing agent to book your brand new build in River Heights, Charleswood, and other established neighbourhoods! ** Quality built by Lux Custom Homes Ltd; completed in 2013 with New Home Warranty. Spacious 4 bedroom home with solid hickory hardwood flooring throughout, piled & Delta membrane wrapped foundation, engineered joists, engineered kitchen studs, & 9' basement ceiling height. Raised basement design permits elevated ceiling, and eliminates problem window wells. Custom soft close cabinetry throughout with modern floating effect, and quartz countertops. Gourmet kitchen with stylish wet bar addition. 7.1 surround audio in the living room (roughed in) with patio doors to a deck (composite decking). Composite decking on front allows for potential front porch addition. Double garage with jackshaft openers allow for optional car lift/boat storage to convert to 3 or 4 car garage, or optional mezzanine level to be added. Purchaser can select some colours of home. Finishing option available. Grading, stucco, walkway 2 B done in spring.